Christians across the globe are captivated with the significant events of the most holy days on the Christian calendar. Holy Week in Christianity is the week just before Easter. 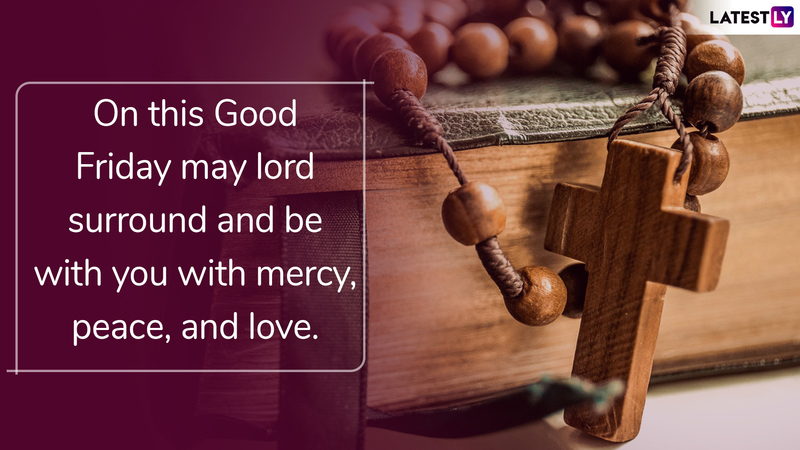 It is also the last week of Lent, in the West, Palm Sunday, Holy Wednesday, Maundy Thursday, Good Friday and Holy Saturday are all included in this blessed period of seven days. Holy Week 2019 began on Sunday, April 14 and the observation will end on Saturday, April 20. As the auspicious time in the Christian calendar has already started, followers of Jesus Christ looks for Holy messages to share with their near ones and counterparts reminding them the divine time of Jesus sacrifices. 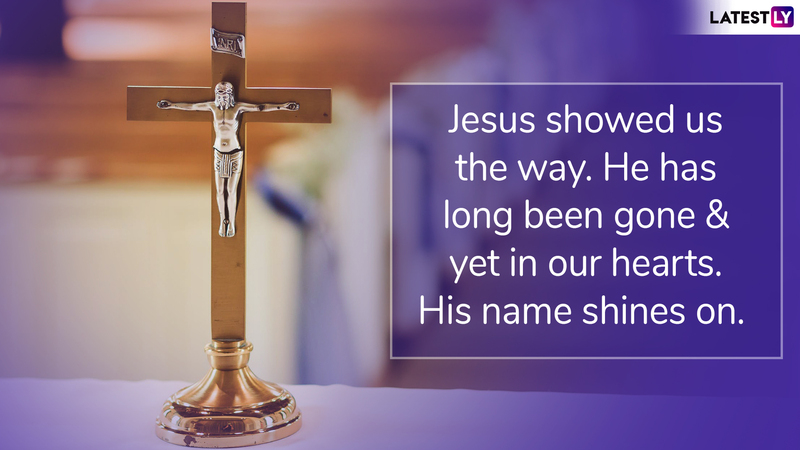 Check out the collections of Holy Week 2019 messages and greetings along with sticker images that you can share with the people you care through Facebook, Twitter and WhatsApp. Palm Sunday, Good Friday, Holy Saturday, Every Day of Passion Week Before Easter Explained. Holy Week begins on Palm Sunday and is traditionally a week of sombre reflection on the events preceding Jesus’ death: his triumphant entry into Jerusalem, his betrayal by Judas, his last Supper with his twelve apostles, his arrest, crucifixion and death and his burial in a tomb. With the onset of the blessed week, the search trends for Holy week 2019 messages is already high with devotees looking for Holy Week images and greetings. Hence, we have compiled devotional Holy week 2019 messages that you can share with your friends and family during the divine period. 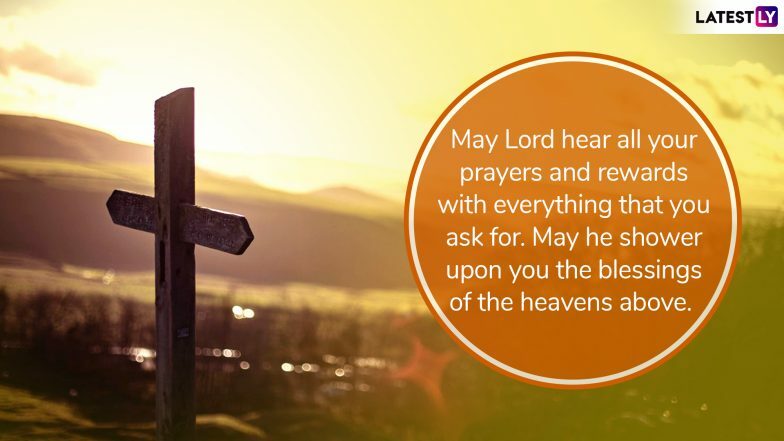 Bible Verses to Wish 'A Blessed Week' Ahead of Easter Sunday. 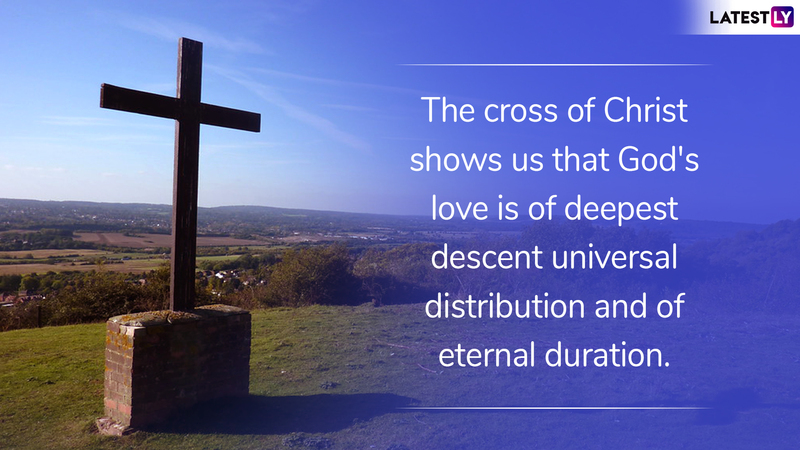 WhatsApp Message Reads: The cross of Christ shows us that God's love is of deepest, descent, universal distribution and of eternal duration. 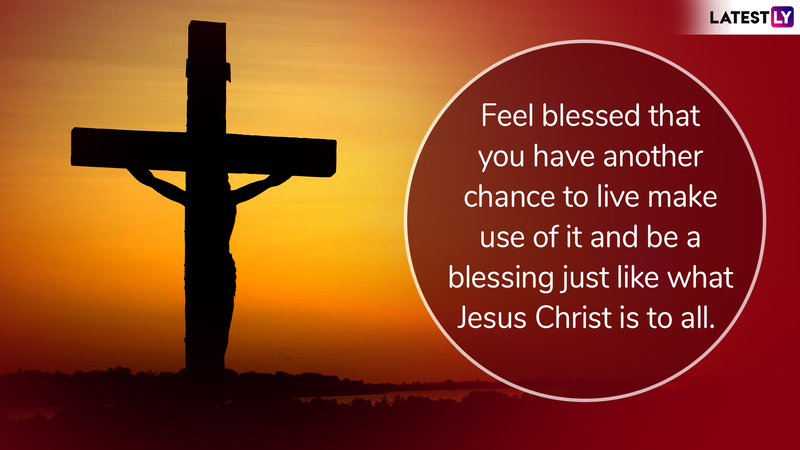 WhatsApp Message Reads: Feel blessed that you have another chance to live, make use of it and be a blessing just like what Jesus Christ is to all. WhatsApp Message Reads: The Lord lights up our way into eternal bliss. 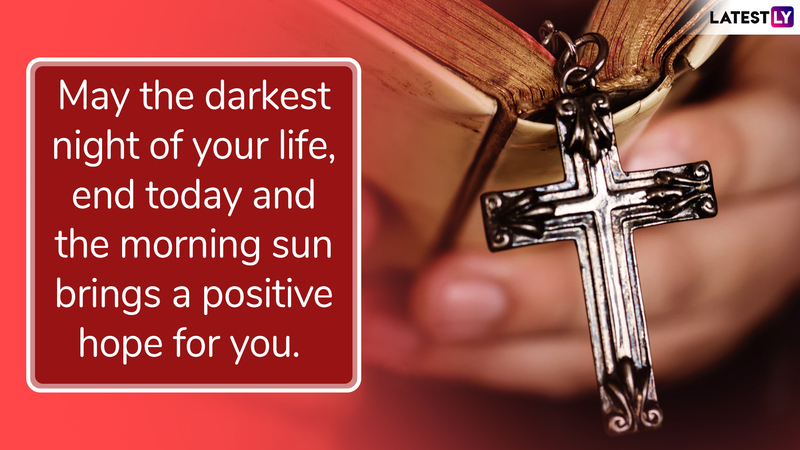 WhatsApp Message Reads: May the darkest night of your life, end today and the morning sun brings a positive hope for you. WhatsApp Message Reads: Jesus showed us the way. He has long been gone & yet in our hearts. His name shines on. WhatsApp Message Reads: May Lord hear all your prayers and rewards with everything that you ask for. May he shower upon you the blessings of the heavens above. WhatsApp Message Reads: On this Good Friday may lord surround and be with you with mercy, peace, and love. With the introduction of stickers, WhatsApp has impressed its users. During all the festivals and holy period, the online messaging app has a fantastic collection of sticker images that you can share with your friends and families. To download, Holy Week 2019 WhatsApp stickers, click here. While Holy Week is devoutly observed all around the world, there are some places where it is a time of elaborate ritual, participated in by entire cultures and cities. Sacred traditions that date back centuries become the centre of public affair for a resplendent seven days. 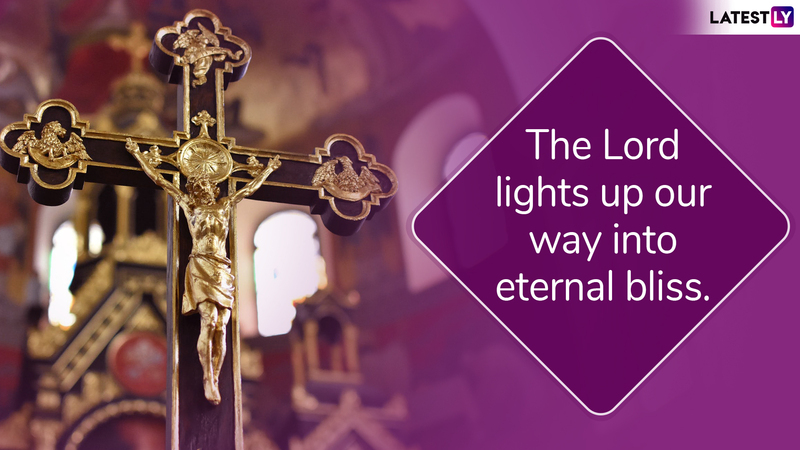 We hope that the above Holy Week 2019 messages will be useful to you while you are captivated in the sacred time of the Christian calendar.